The new Doctor and his companion are meeting an invited audience in Inverness on 30 March. 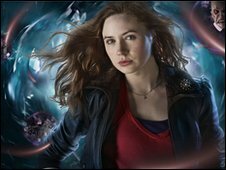 The national tour will introduce Matt Smith, the eleventh Doctor, and his companion, Karen Gillan, to pre-selected local schoolchildren as part of BBC's Outreach programme. The tour begins in Belfast on 29 March before heading to Karen Gillan's home town of Inverness, moving on to Sunderland on the same day and then heading to Sunderland and Northampton on 31 March. The focus of the visits is to target under-served communities by the BBC. Alec McGivan, head of BBC Outreach, said: "Outreach is all about getting face to face with people so they can get involved and experience the BBC in a different and exciting way - we're delighted to be able to take one of the BBC's best loved brands out to its audience." Although the Inverness visit is open to invited guests only, Reporting Scotland will be there on the day bringing viewers close to the new Doctor. Bryan Burnett is hosting the event and will be broadcasting a special edition of Get It On on BBC Radio Scotland the same evening. Following the tour BBC Big Screen events in London, Manchester, Edinburgh, Plymouth and Swansea from 1 - 3 April giving fans the opportunity to see exclusive footage from the new series. 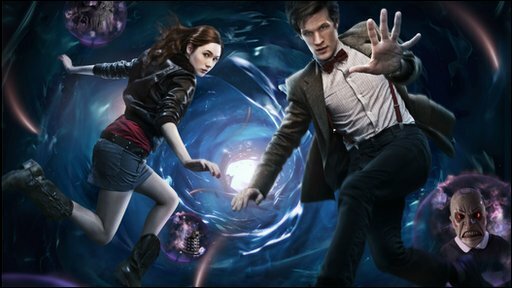 There will be the chance to see the Doctor Who Trailer in 3D and fans can get their photos taken tumbling through the giant vortex from the programme. Some of the scariest monsters from the long-running series will appear at the event so fans can meet them without a sofa to hide behind. Piers Wenger, executive producer and head of drama, BBC Wales said: "This is a great opportunity for the new Doctor and his companion to interface directly with the people who matter most to Doctor Who: the fans. The chance to visit them in their hometowns will ensure that the Eleventh Doctor's maiden voyage is an utterly magical one."